Home / Blogging and Admin / Travel and Living / What's new at Airlineblog India in Jan 2019? Here's a quick summary of key posts published in my Airlineblog. January 25-27, Oman Air sold ultra low price tickets between Delhi-Tehran-Delhi return for just about 6000-7000 INR. Thousands of people were tempted by this low fare and made their bookings. [Details]. However after few days Oman Air refused to honor these tickets citing technical glitch. This triggered massive protests, some legal notices and so on. 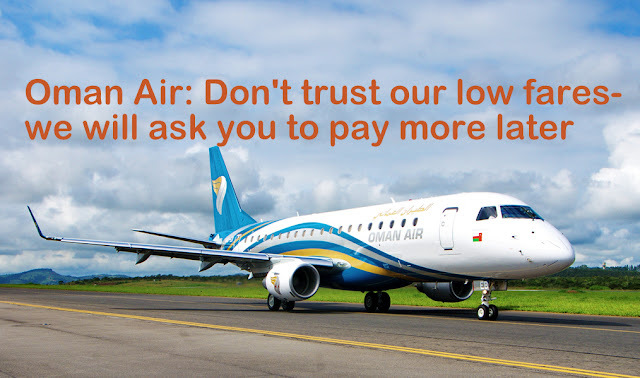 Oman air made matters worse by not making any official statement, not offering any compensation, not responding to tweets and sending mails that full refund will NOT be given. [Details]. Could have been lot simpler if Oman Air had decided to cut their losses, honor the tickets and stand to gain lots of new customers, free publicity and goodwill. But with this mess, they are shaking confidence among customers and make their future promotions lot more doubtful. Have done a detailed comparison comparing the two Asia based low cost airlines. Find out which one fares better overall here. Had written a few more posts about Malindo, Srilankan, Jet airways sales, which are redundant now as the sale is over. Started to follow your Airline blog recently, interesting stuff for sure, I rarely seen Bloggers making use of this niche, it's really handy when you want to explore all the possible options when you travel via Air. Best wishes.